All are very valid questions as there has been a rise in popularity for both needling and acupuncture. Let’s try to set the record straight! Acupuncture is an ancient, far eastern, medicine that is based on “meridians” of energy underlying the skin which is essentially a force field. Asymmetry between these meridians is thought to cause disease. The goal of the practitioner is to align needles, that correlate with the yin and yang, to balance your Qi (internal energy) back to its baseline. Although most commonly used to help with pain relief, people seek out acupuncture for other various conditions such as: breech position for birth, bed wetting, fertility issues, allergies, sleep disorders, addictions, asthma and other medical issues that may not have had success in the allopathic realm of medicine. All of these conditions are thought to be some sort of imbalance to the Qi discussed earlier. The needles used typically are shorter in length than dry needling (more on this later). Additionally, different states have different scopes for the practice of acupuncture. Some states require licensure through actual schooling, while others allow practice after a certain number of hours and/or completing an exam. Therefore, when someone is titled as an acupuncturist, typically this means they studied/had a certain amount of schooling as this is a profession. Those that PRACTICE acupuncture have the necessary continuing education to engage in acupuncture medicine (example: In some states, a chiropractor can practice acupuncture), but are NOT acupuncturists. DRY needling has a more mechanical focus than acupuncture. The theory behind dry needling is completely different and based on the palpatory findings as opposed to the meridian energy fields. Meaning, there is a trigger point that can be palpated, which causes dysfunction by giving off a painful signal to the brain. Trigger points are taut muscle fibers laid down, typically to compensate for stability when some other place lacks it, or when the tissue has been overloaded with stimuli (example: overtraining, etc.). Sometimes, these trigger points actually overlap where acupuncture points are located. That is why the verbiage between both can become confusing, because sometimes you’re treating both an acupuncture point and trigger point, and therefore implementing both types of care! 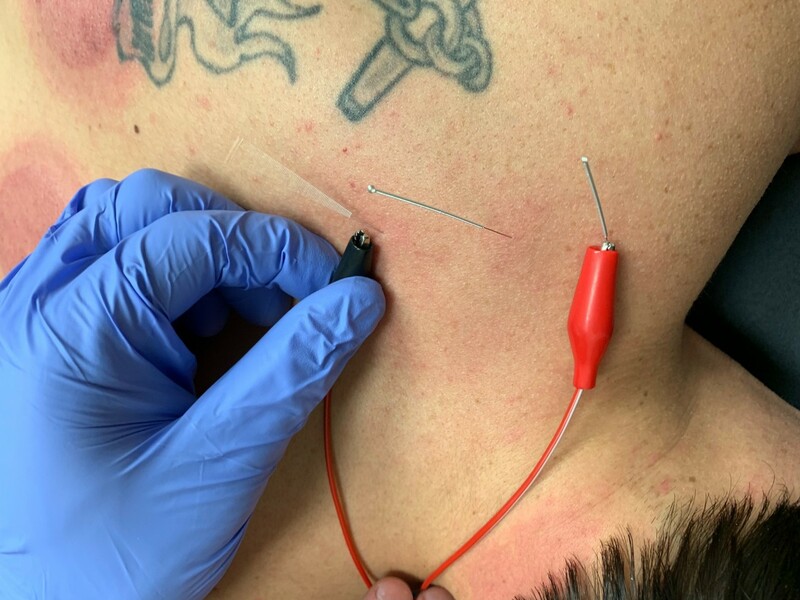 Although it varies by patient and palpatory findings, dry needling takes an acupuncture needle, typically longer, to reach deeper areas below the skin and into the fascia/muscle belly. When the needle is accurately inserted into a trigger point, the muscle may “jump” in response to the needle; this is called the “Latent Twitch Response” and along with the immune system response from the needle, entails histological and morphological changes in the painful substance. Again, the scope of practice how dry needling can take place varies by state, as do the qualifications/hours needed. Some states shockingly, require no familiarity or background education to practice dry needling; while other states do, but don’t let Physical Therapists practice, etc. WET needling will entail some substance placed into a needle. Typically, this needle must be thicker to encompass whatever is being inserted. This is most notably called trigger point injections, which will carry the substance, usually a steroid or anesthetic, into the painful muscle. To date, literature shows the difference between wet and dry needling as minimal… it seems the power is in the needle(!) and not the substance; though this could always change in the future with further studies. With our office being in Wichita, there is currently no standard from the state board, on hours or education, for dry needling or acupuncture. Although some proficiency is assumed, by all parties, if one is practicing either. Luckily, here at ICT Muscle & Joint Clinic, we have taken the necessary extracurricular seminars/education to practice and feel confident treating with both acupuncture and dry needling, despite there being some grey area within Kansas state law. 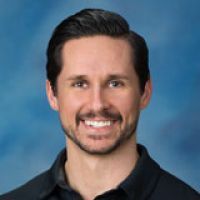 If you’re interested in what dry needling or acupuncture can do for you, contact the clinic to learn more info or get an appointment scheduled.